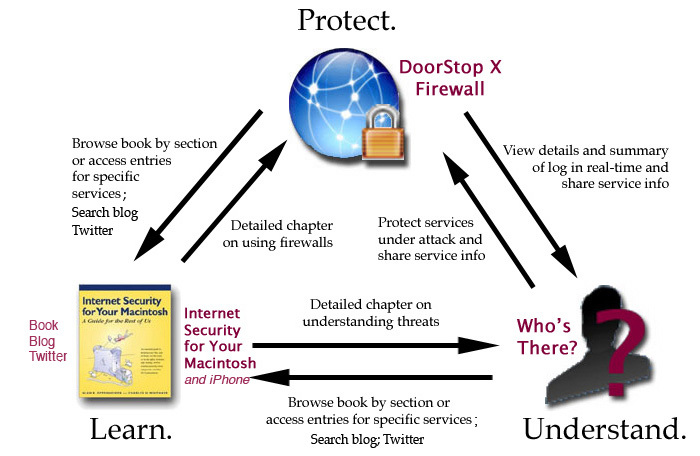 The DoorStop X Security Suite is an integrated, comprehensive approach to securing your Macintosh (and iPhone!) on the Internet. Each component of the Suite is designed to work with and use features provided by the others.